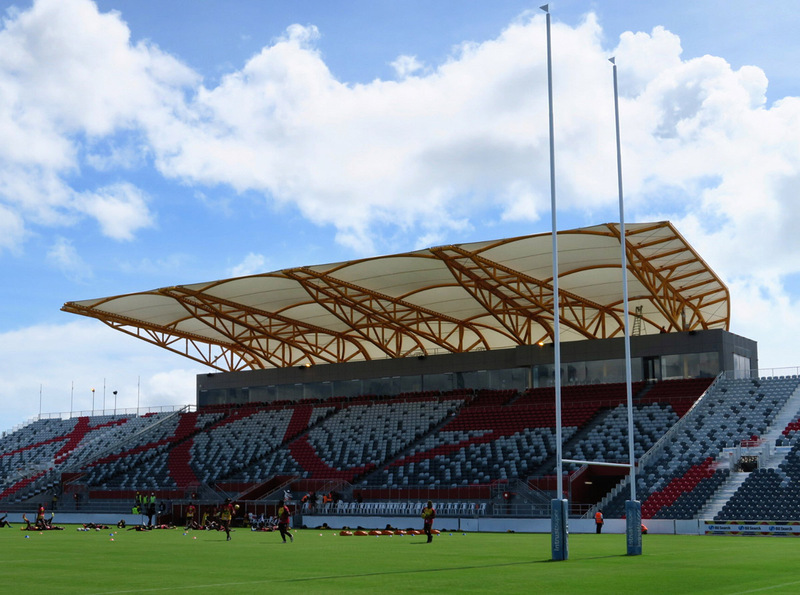 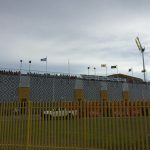 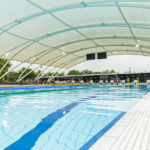 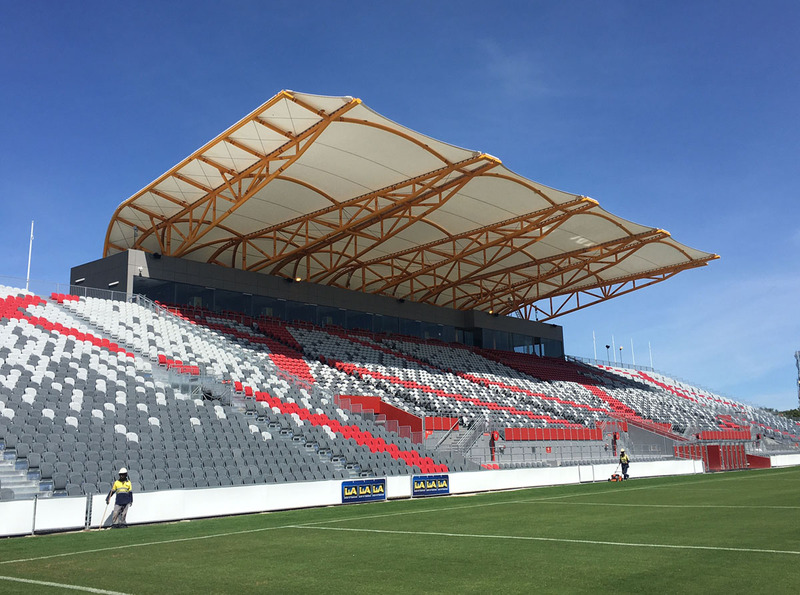 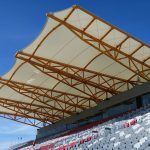 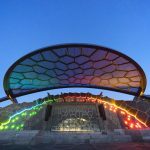 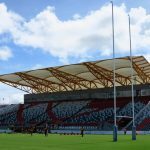 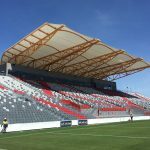 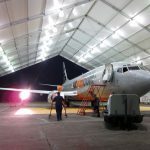 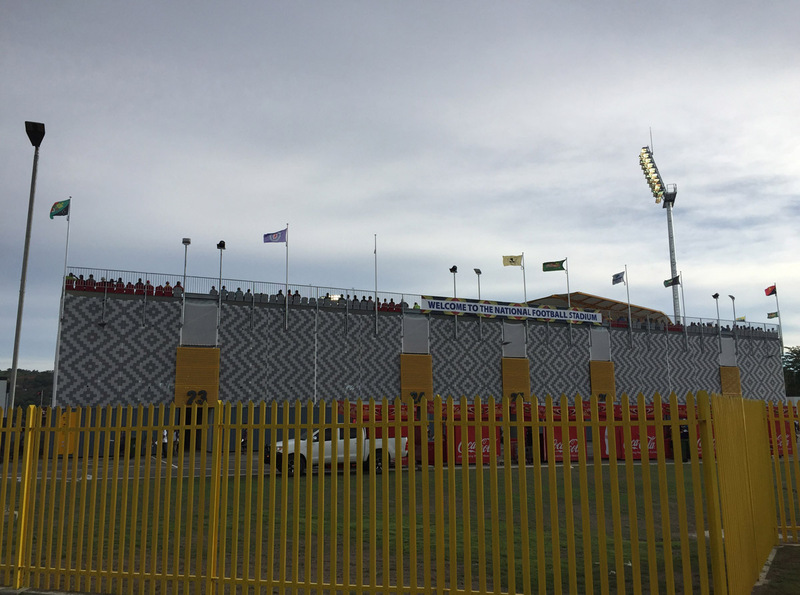 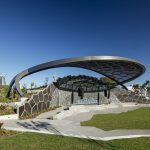 The National Football Stadium of PNG in Port Moresby recently received an upgrade, with a tensioned fabric grandstand canopy, and aesthetic custom-printed scrim wrapping to the back of the scaffolding seating system. 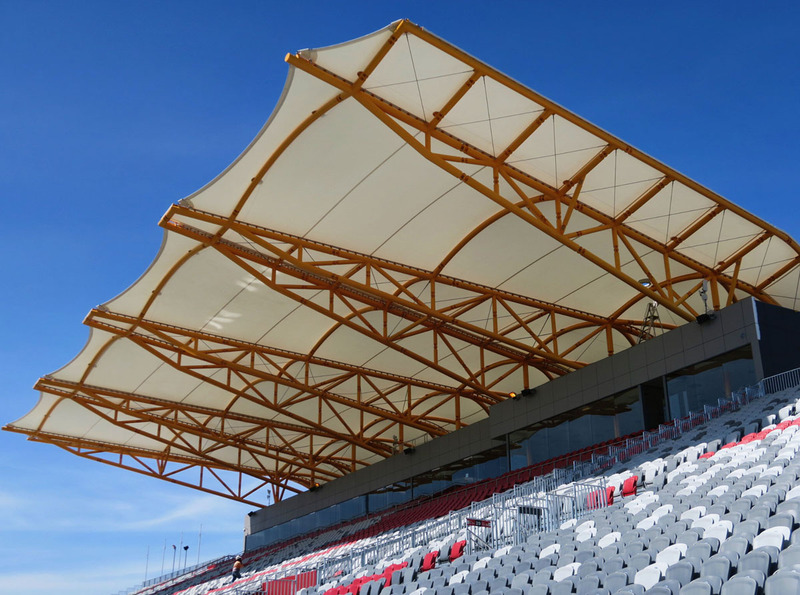 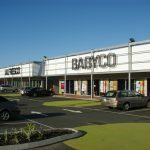 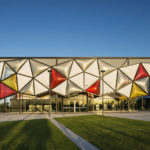 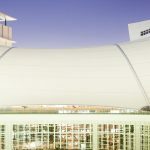 Fabritecture’s project scope included the PTFE grandstand fabric as well as a special printed fabric scrim wrap to beautify the scaffold style grandstands.The project was delivered 2 months early to the client’s delight! 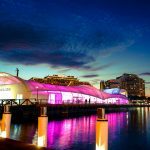 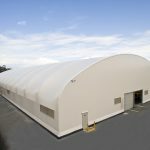 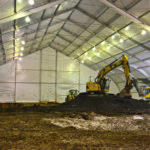 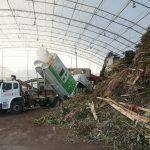 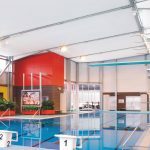 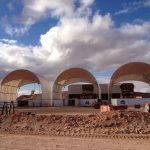 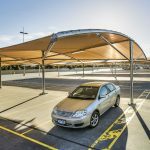 The structure is essentially a maintenance free system (self-cleaning), which is an important factor given the surrounding environment has a lot of dirt. 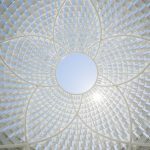 Every time it rains, the fabric cleans itself.